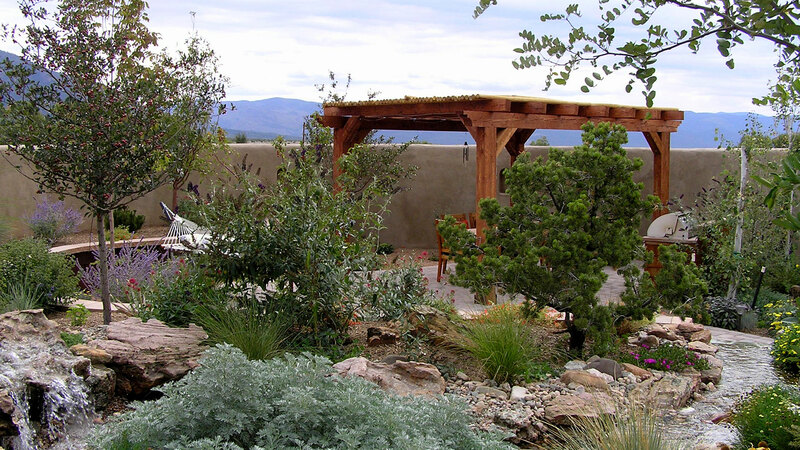 Landscaping in Taos, surrounding communities and Northern NM. 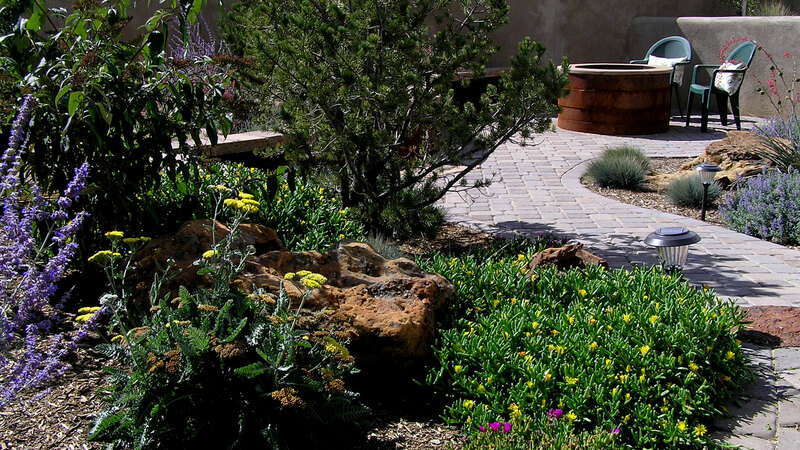 GECKO LANDSCAPING is the finest company of its kind in Northern New Mexico providing the highest quality and complete commercial and residential services. Since what we do is all about the visuals enjoy the images on this page and on this site as they show what we are about. You know what they say about pictures and words. We believe in impact so if you want bland or vanilla, we may not be for you. 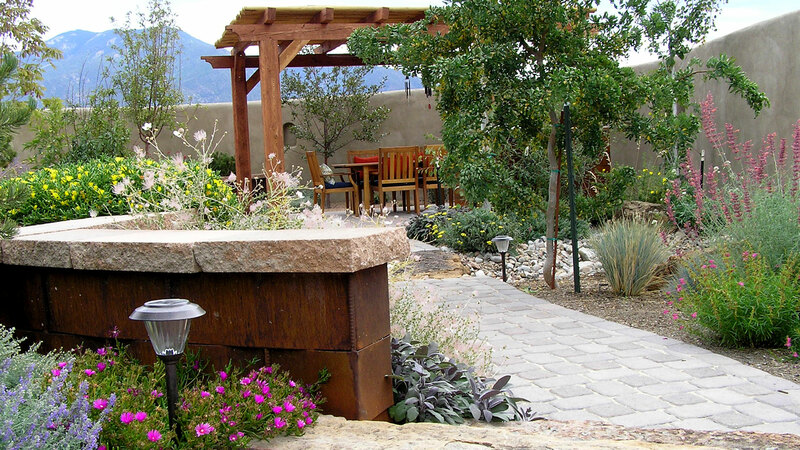 But if you want to be noticed, if you want your landscaping to add value to your property, we are the people you need. “Wow!” “One of a kind!” “How creative and innovative!” “I’ve never seen metal used that way before?” “ How does he think of these things!”, Are just some of the reactions we hear from our satisfied clients. And all we have are satisfied clients. Enjoy these images, then read on about GECKO LANDSCAPING. We are so very grateful to the folks who have supported us and helped us become the success we are. And thanks for finding us.